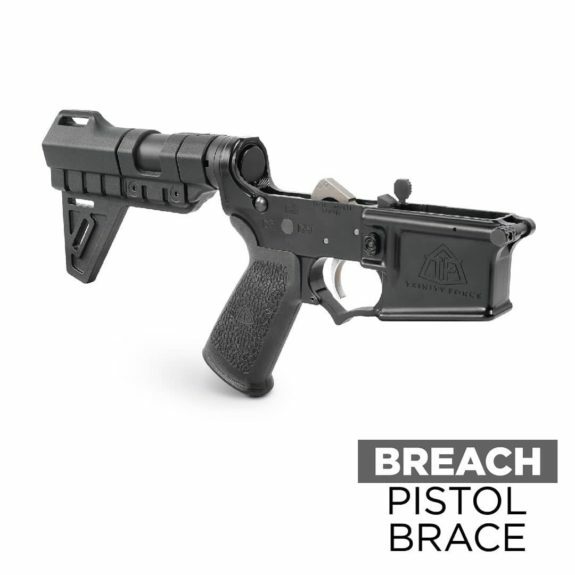 Trinity Force will release a new pistol brace called the Breach Pistol Brace. It is designed to clamp onto a 1.25″ diameter pistol buffer tube and features multiple sling attachment slots. Like the Shockwave Blade Pistol Brace, a brace to which this is likely to draw comparisons, the toe of the Breach is very slim in keeping with its purpose as a forearm brace and not a stock. The Breach Pistol Brace will be available soon. Stay tuned for additional details.